This will be my last haul of the month, as I'm putting myself on a spending ban. Luckily for me, I bought these items before March 1st, so I haven't broken my rule yet! However, we are only two days into March... I can see this being a long month of struggle. This is just a small haul of bath things which I didn't need, but couldn't help myself. This is the reason I am going on a spending ban - I have 3 cupboards full of bath bombs, bubble baths, shower gels and moisturisers which I don't use. I want to have the chance to use some of these products up before buying anymore! That being said, here are a few more items which I just couldn't resist. I love Lush bath-bombs, not just for the brand name, but because of the goodness the company do and the quality of the products. 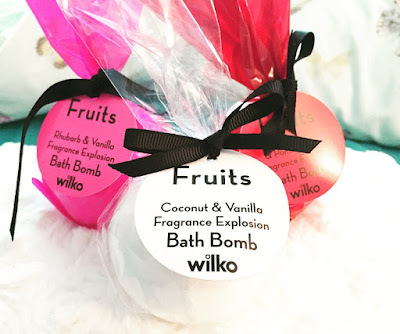 Yet, I have been loving Wilko's own, original bath bombs. They are just as good, loads cheaper and smell incredible! I got my bath-bombs in the flavours, 'Rhubarb & Vanilla', 'Coconut & Vanilla' and 'Strawberry & Pomegranate'. Wilko have a range of 9 different flavours which all smell amazing, and they are only 95p each! Definitely a good, cheaper alternative. As well as these bath bombs, as part of the 'Fruits' range at Wilko, each bath bomb flavour has a corresponding bubble and body scrub in the same flavour. The bubble baths are 95p and are massive - they will definitely last you a very long time! 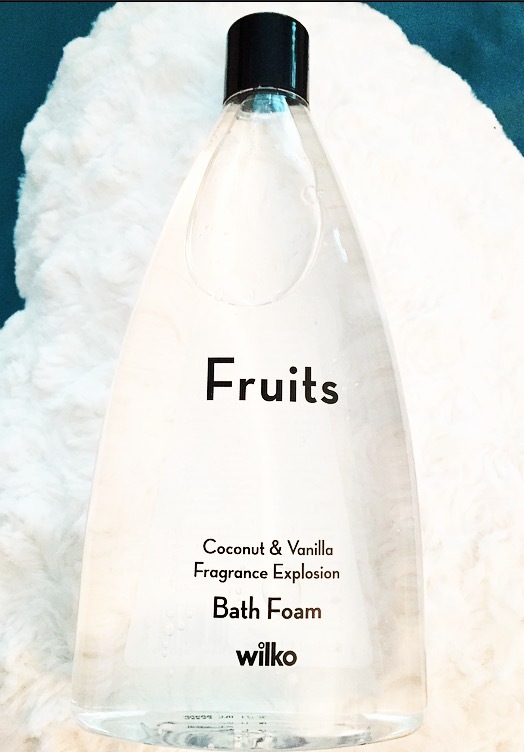 I bought mine in the flavour "Coconut" for no other reason than I just love the smell. They smell amazing and are such good value! Lastly from Wilko, I bought a Collection Eyeshadow in shade "05 Rosy Gold". All my make-up drawers consist of different shades of brown/gold eyeshadows as these are the colours I wear mostly on my eyes. I find them neutral but not so neutral that it doesn't look like you are wearing anything. 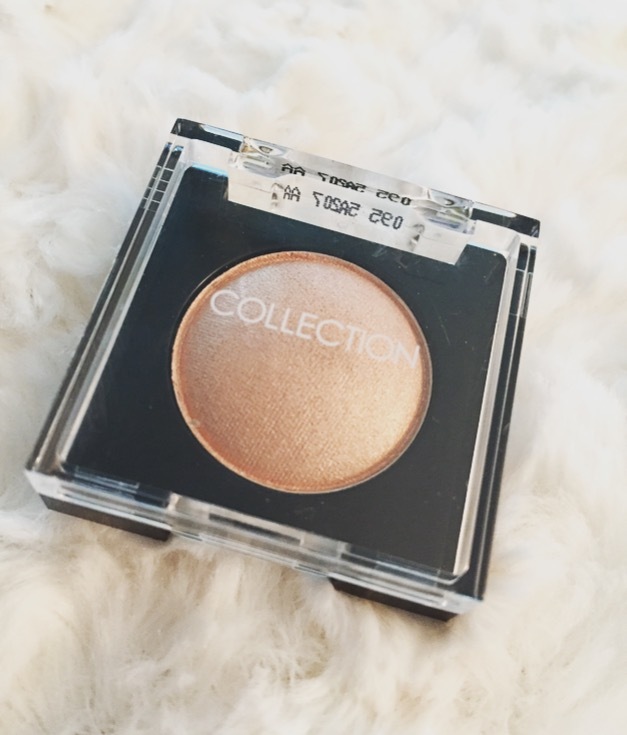 This shade from Collection is super sparkly and light in colour which is the type of eyeshadow I love going for. 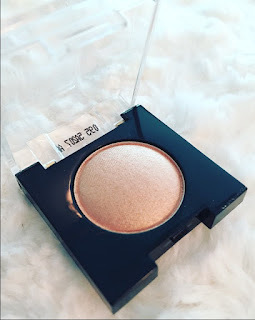 The last thing in my haul is my most favourite product of February. 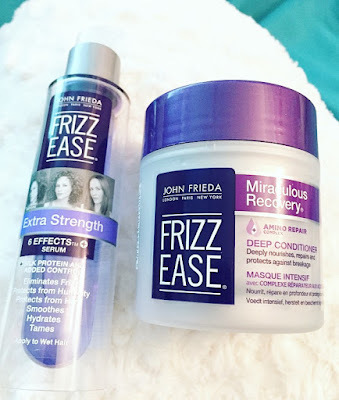 I found a sachet of the 'Miraculous Recovery Deep Conditioning" product by John Frieda and used it to get rid of it. However, my hair was left incredibly soft, silky and shiny. So I purchased a pot of it and the 'Extra Strength Six Effects Serum' to put on wet hair, after showering. After having used these for 1 week I am in love with this product. It is insane. My hair has never felt so healthy and shiny! 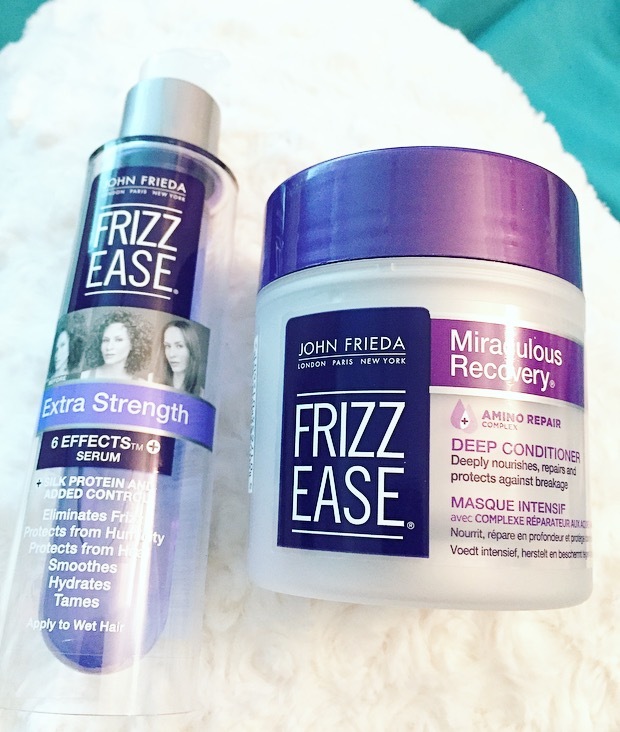 This product is perfect for people with thick, dry and damaged hair.